Hi, I took 17 credits this semester. 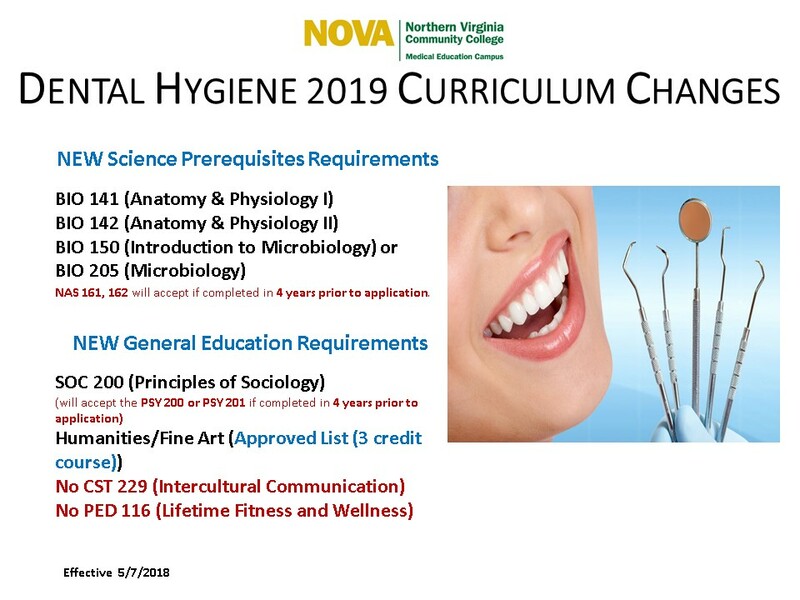 Since the dental hygiene program won’t notify us on acceptance until mid May to early June, does this mean they will take into consideration the grades and new gpa of this semester? They would use the information at the time of application. The courses and subsequent grades at the end of the spring semester are not looked at. Has anyone applied for dental hygiene without having all pre recs? My previous school takes applications that don’t have all the pre recs ? Applications that are missing requirements are marked not eligible. Only applicants that meet all stated requirements are considered for admission to the program. Does that mean that Bio 150/205 will be required for the 2019 application period? I took NAS 161/162 this last semester for fall 2017 and spring 2018 respectively. We have reached out to the department and will post a clarification as soon as we get it. Thanks for the great question.